Introductory double bass with case and bow. The Musicale is designed for the beginner. Starting with a durable laminated spruce top and maple sides Bellafina then fits an ebony fingerboard, tailpiece and endpin to the body. They then hand carve an adjustable maple bridge with wheels for easy height adjustment. It is then strung with D'Addario Helicore Orchestral bass strings, a multi-stranded steel core strings that produce a warm tone quality with excellent bow response. The core design makes for strings that are very easy to play under the left hand. Bellafina finishes off the package with a well-aged French Brazilwood octagonal bow with a silver grip and ebony frog. A case with 15mm padding, a bow pocket, and backpack straps is also included. 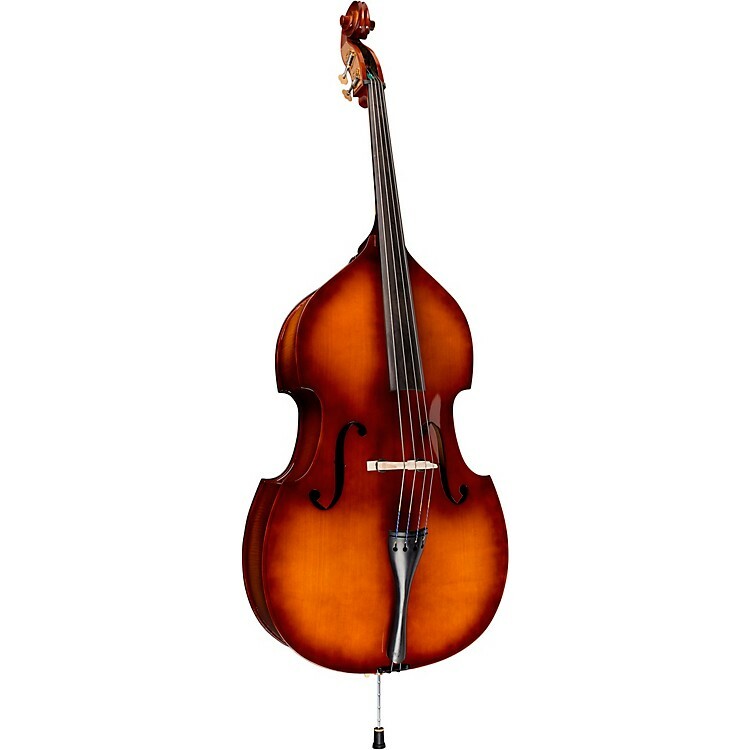 The Musicale combines a US setup and Helicore strings, giving you a great starting instrument that presents all of the features todays Music Educator require in an affordable investment. Order today and assume your place in the orchestra.